It is no news that India is bearing the brunt of an ongoing heatwave. Heatwaves have turned so strong that it is making the country drier than it already is. News about the heatwave, people dying because of this heatwave, water crisis and other major travesties that the country is facing, is all over the place. From the past couple of weeks, Maharashtra is in the rut of this news, especially the region Marathwada. Marathwada that usually receives scanty rainfall during Monsoon bears the brunt in summer as it is forced to stare at a drought. On the other hand, Mumbai faces flood like situation in Monsoon whereas in pre-monsoon the city enjoys comparatively better weather than other cities in the same state. Let us talk and try to find the reasons why Marathwada is one of the worst drought-hit regions in India. The topographical area of the region is one reason that makes it impossible for rains to reach the region. Maharashtra is divided into four major parts, Coastal Maharashtra (Konkan and Goa) which lies on the Western Ghats, Vidarbha that is the southern Maharashtra, Madhya Maharashtra which is in the central region of state and Marathwada which is the most interior part of the state. All these regions have their own advantages and disadvantages. Like Mumbai which lies in the coastal Maharashtra receives around 2200 mm in Southwest Monsoon in comparison to Pune, which receives 445 mm of rainfall. Nagpur receives 900 mm of rainfall and Aurangabad receives 558 mm. In the year 2013, when the country received good southwest monsoon rainfall of 106%, even in such fuller conditions the Marathwada region received rainfall only in excess of 9%. This proves that even in the best of the season Marathwada region doesn’t receive enough rainfall. The geographical disadvantages double up as the plains of Marathwada are spread more in the interior parts of Peninsular India. The region has no major river flowing through it. 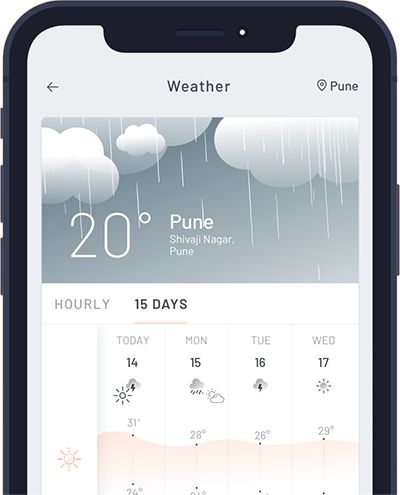 The region is far from the western coast and eastern coast – and the mountain regions of Western Ghats restricts all the weather activity and leaves very little for Marathwada and interior Peninsular India. Latur which has been the worst affected region this year is all over the news. Due to water scarcity, then due to implication of sec144, then severe heatwave conditions and water crisis forced the government authorities to supply water through trains. There is a lot that the government is doing to neutralize the situation in the region. Sending ‘Jaldooth’ the train carrying water to the parched region has been literally the life saver – but this is not the permanent solution. The people of the region are heavily dependent on the water reservoirs and there are very limited numbers of water reservoirs in the region. Since the people are dependent on water reservoirs - why can’t the government set up more reservoirs to suffice the needs of the general populous? Read More: What is Heatwave? There have been other state governments that have put forward the idea of covered canals – and this just makes sense to have such type of canal in Marathwada where the sun has unperturbed access to the plains. The water in open canals evaporate rapidly. The two back to back droughts – in 2014 and 2015 made the situation extremely palpable in the Marathwada region. Last year the deficiency in rainfall was 42% which has added more to the deterring conditions of the region. Pre -Monsoon showers are expected from first week of May.